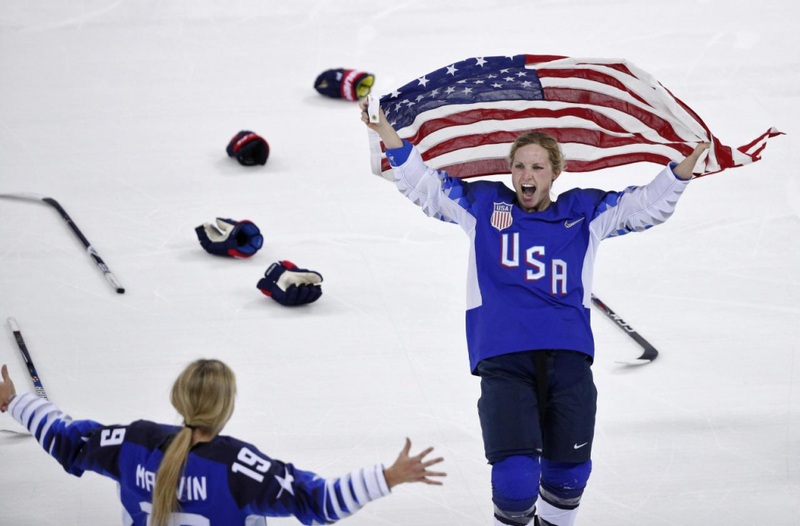 The U.S. women’s hockey team took the gold medal on Wednesday, February 21 at the PyeongChang Winter Games, winning a stunning victory against its decorated rival Canada, who had dominated the event over the past 20 years. The breathtaking match was driven into sudden-death overtime with both teams stuck at 2-2. Overtime lasted a grueling 20 minutes with no one scoring. The game moved into a five-round shootout that also ended in a tie. An extra round of shootouts then took place, and that’s when American player Jocelyn Lamoureux-Davidson scored the tie-breaking 3-2 goal to win gold for the team. The last time the U.S. won the gold was in 1998’s Nagano Games, in which Canada took silver. It’s been a massive rivalry ever since, with Canada wining four successive Olympic gold medals: 2002’s Salt Lake City games, 2006’s Turin, Italy games, 2010’s Vancouver, B.C. games, and 2014’s Sochi, Russia games. As for the U.S.: in Salt Lake, it won silver; in Turin, bronze; and in Vancouver and Sochi, silver medals.